Thirty-eight degrees outside and a sleeveless cotton top? As temperatures go down thermostats go up …..sometimes to s u m m e r temperatures. 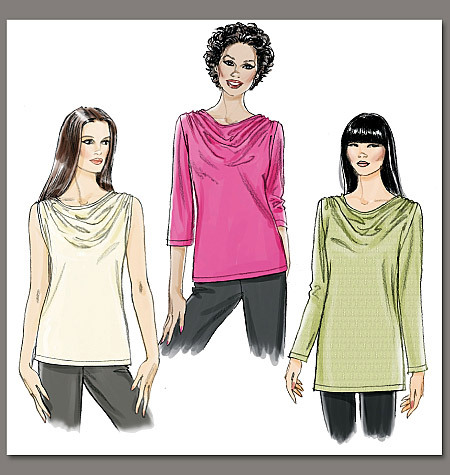 Fortunately, I can pare down the layers to this top made of soft organic cotton from Mood Fabrics. This wonderful fabric is just as soft as those extraordinary l o n g Velvet cotton t-shirts found in cute boutiques at cute prices. The environmentally friendly fabric, free from pesticides and chemical fertilizers feels great against my skin and will allow me to comfortably sit through long meetings in hot conference rooms all winter long! 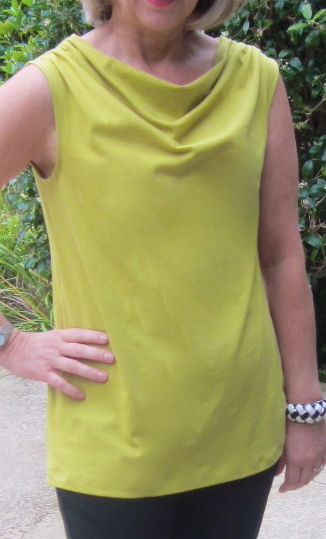 Having successfully sewn this Vogue 8669 pattern once before, I knew 1½ hours of sewing time was all I needed from start to finish, and the One Yard Wonder was made for $12…. who knows, if I wear this top as much as I believe I will it might become a Twelve-Month Wonder. 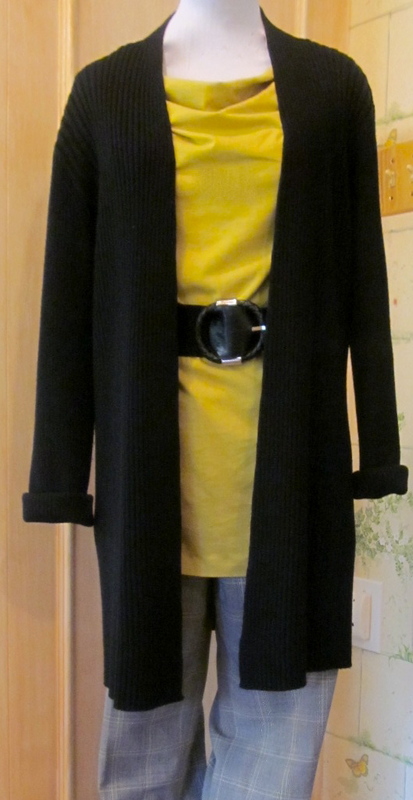 Easy, wearable and affordable……..If only all clothes were this accommodating !